U.S. President Barack Obama ends his tour of the Middle East in Jordan’s historical city of Petra. Before his departure for Jordan, Obama was in Israel, meeting with the Prime Minister Benjamin Netanyahu. 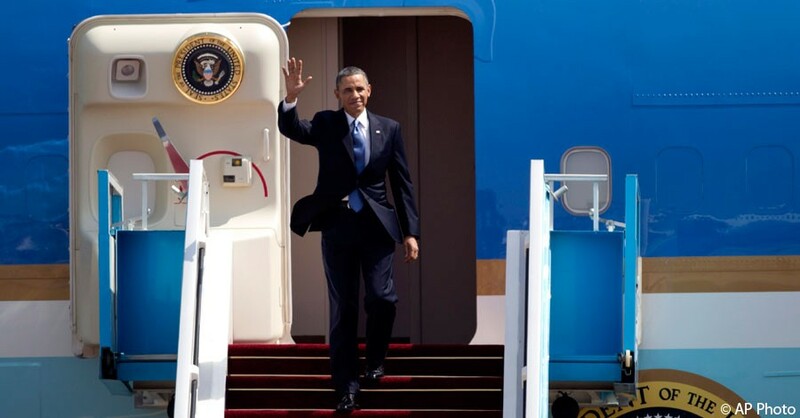 This is the first time Obama visits the Middle East as president. During Obama’s stay in Israel, Netanyahu gave an official apology to Turkey for a 2010 commandoraid that killed nine activists on a Turkish vessel in a Gaza-bound flotilla. Many speculate that the apology coming at that moment might be the result of U.S. mediation between the two countries whose relations have been strained over the last few years because of this incident. Obama arrived back in Washington, D.C. Saturday night.